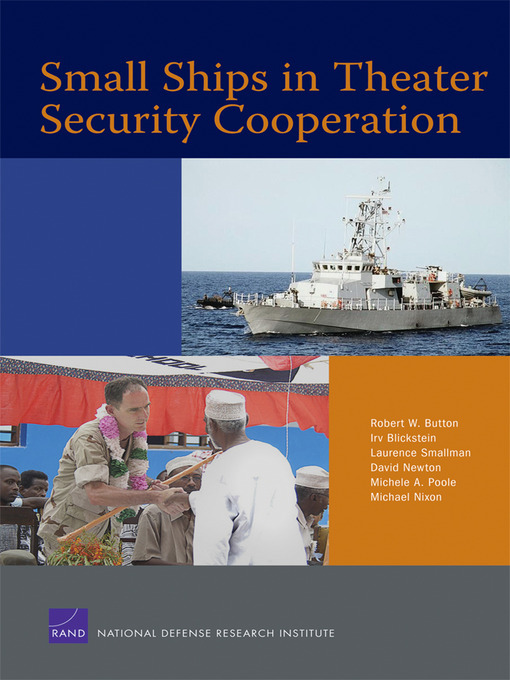 The authors evaluate the use of small ships in theater security cooperation (TSC). They provide the U.S. Navy with a concept of operation for small ships in TSC, necessary small ship characteristics, a survey of suitable ships, and recommendations for increasing the effectiveness of TSC operations conducted with a small vessel. The report concludes that, with a mothership, the PC-1 Cyclone Class would be fully capable for use in TSC.